The lateral step down is a very simple movement that you can use to build strength, stability, and balance that carries over to running. Or, it can provide insight into how well you are positioning the body on a single leg which relates to the initial foot strike and mid-stance phases of gait. When performing the lateral step down, there are two different positions which could be valuable to assess. The first being more of a hip-dominant position where you slightly sit back into the hip and lower down. The second is with a vertical posture that allows the knee to travel over the toes. Both of these can provide important information on how well you stabilize in a hip versus knee-based strategy. Want to learn more about hip stability and how to complete the lateral step down assessment? Click the video below to watch the assessment in action before trying it for yourself. I hope this article helps you determine if more attention needs to be placed on improving lower extremity stability and balance with the lateral step down. For runners, this can shed some light on how efficient you are on one leg. If you noticed one or several of the positive signs outlined above, make sure to add single leg training into your routine to resolve this weak link. As always, please comment below or reach out directly with questions. The lunge, and all of it’s variations, should be a staple within your movement program. Since much of what you do daily involves emphasis on single leg strength, stability, and balance, there is really no reason why you would overlook the lunge. This is especially true if you are active by walking, running, or playing sports. One of the biggest problems that prompted me to write this article was the lack of attention to detail concerning the form which makes the lunge effective. Since I work in a fitness facility, I have the privilege of watching people move and specifically lunge on a daily basis. This is a privilege and also a curse, because often it’s not always pretty. You can’t blame the person performing the lunge if they have never been told how to lunge properly. I think the problem stems from assuming everyone knows how to lunge that gets us into trouble. Yes, this is one of the most popular exercises anywhere. No, it does not just happen naturally, especially in our technologically-crazed and movement-restricted society. So, what needs to happen? The teachers (trainers, coaches & therapists) need to teach. My goal is to not expect that everyone knows what I know. 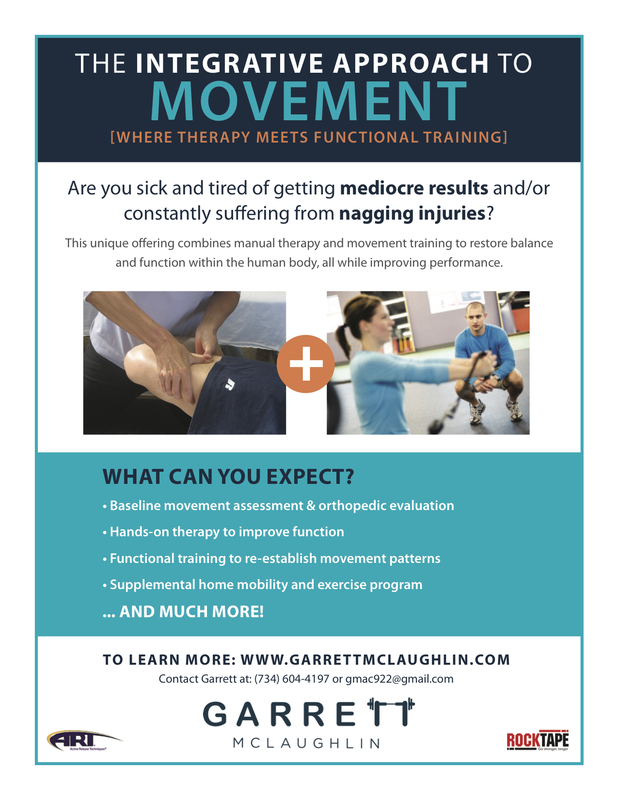 I have spent many years of schooling, internships, and hands-on experience working with people on a daily basis while assessing and instructing movement. Just because you’ve done lunges before or have seen a “proper lunge” on Facebook or Youtube doesn’t mean your perception of the task matches your execution. Therefore, it’s important to use this article as a mental checklist while you are lunging to determine how you can be more proficient and effective with this movement pattern. The tips provided in this video should be easily observed but that doesn’t always mean they are easily attainted. Please feel free to reach out directly if you notice difficulty getting into the right positions. This is common and most likely warrants an evaluation and specific corrective exercises to target any underlying limitations. Flexibility and tightness are two common and often misunderstood concepts. Just because you feel tight in a particular area does not mean you actually need to stretch. Wait, what?!? The problem with the term ‘tightness’ is that it can be very subjective. When you finish a hard workout, your muscles feel tight. When you get punched in the arm and it bruises, that could feel tight. And, when you sit for extended periods of time, it’s likely that you’ll feel tight. But, without assessing muscle length with specific tests to determine the degree of tightness, this is just a subjective measure based on how your body feels. Over the years, numerous runners have approached me with the goal of improving flexibility. This may be due to a shortened stride, the feeling of excess tightness following their runs, or actually having to stop mid-run and stretch due to tightness. I could easily give in and prescribe a series of static stretches to address the specific areas they are complaining about, and most people would be content. Instead, I feel it’s important that we dig deeper to uncover if these are actually flexibility problems. And if not, what drills, exercise, and/or therapy do they need to function at their best. Stability is a term that refers to the body’s ability to control it’s joint position. As you move, joints slide and glide around their articulating surfaces with the goal to be as centrated and optimally positioned as possible. Plain and simple, the stabilizers surrounding your joints contract in anticipation and in response to movement in order to keep you upright. It’s then the job of the prime movers to get you from point A to point B. For some people, maintaining stability can be an issue. In these instances, your body will find other ways to create stability which can be by increasing tension and tone in certain muscles to then create a false sense of stability. I often see this around the hip and shoulder joints as prime movers become facilitated in order to “help out” the poorly functioning stabilizers. Instead of stretching this “tightness,” let’s address the stability component to restore function to the joint and surrounding tissue. Are you truly tight or did you just push the body past it’s threshold? In every running program there are increases in mileage from week to week in order to prepare you for your goal race. At some point, these increases become a little more challenging as you demand more from the body. If you do not have the capacity to continue increasing the demand, fatigue and tightness are often a symptom. Stretching may help temporarily but it’s actually more rest, recovery, and increasing your capacity to load the body which will undoubtedly resolve the tightness. In essence, this type of tightness may be your body’s warning sign saying you are exceeding it’s limits. Therefore, strength training and establishing a more resilient foundation may actually be a viable strategy to reduce muscular tightness. Simply, are you tight? This is the only way I think about tightness and it needs to be determined through testing that looks at muscle length. Do your tissues possess the ability to lengthen to the degree in which we have quantified average? If not, you are objectively tight. All of the other examples above can leave you feeling tight but as a subjective symptom that would be better called stiffness or tone. This example is the only true tightness which actually means you have limited range of motion caused by tight muscles. Would static stretching be good here? Ehh. Maybe yes, maybe no. But rather, full range of motion movements to end-range, mobility drills, and gradually training the nervous system to allow you into deeper ranges. Thank you for taking the time to read this article! On a daily basis, I work with runners just like you who are actively stretching and searching for ways to improve flexibility and overall performance. Without an accurate assessment to determine the root cause, you may actually be wasting your time. I know that sounds frustrating, but I’d love to help! Instead of doing the same things and expecting different results, I want to share with you a FREE resource that will help you get on the fast track to success. The ‘Building the Bulletproof Body Guide: A Distance Athlete’s Guide to Injury Prevention and Performance,’ touches on various topics that will help you excel in all areas of your running. This guide is super important because it will help you build a solid and more reliable foundation upon which to increase your mileage. And… It’s something I want you to have for free. Click here to download your guide right now! I work with some great people on a daily basis and have for years. The type of people that make me realize how fortunate I am to do what I do and get paid to do it. Oftentimes, I drive home from work and reflect on how much I enjoyed the day. Q: First, tell us a little bit about where you are from and what activities you have been into over the years. Q: What caused you to change from running to walking? Q: What are the main reasons you enjoy running/race walking? Q: Do you have any goal races coming up? Q: What motivated you to work with someone like Garrett and start making changes in your routine? Q: What are some of the improvements that you are most proud of? Q: What is your favorite part about the group functional strength & mobility sessions? Q: After your first session you received an individualized corrective exercise program… How important do you think this has been for you? Q: If you had to give someone similar to you a piece of advice, what would it be? Thank you for reading the first ever In the Spotlight. And, a big shout out to Carol Rolfes!! Please feel free to comment below with any questions or feedback. The lower extremity is vital for good running form and performance. We all know that strength and endurance are needed to create movement, especially over long distances. But, they are also essential to withstand the stresses of high mileage. A muscle that is stronger will undoubtedly be more resistant to fatigue. Within all of that, where does stability fit in? I bring this up because too often people are throwing strengthening interventions at a stability problem. If you have an issue maintaining lower limb alignment and control in the sagittal plane, strengthening the hip abductors won’t cause them to stabilize better. I’ll be the first to say that strengthening those muscles is not a bad thing and most runners can benefit from this. But, we must put the body in a position to develop a rich neuromuscular connection which relies on constant feedback and response from the nervous system. Not to mention, looking at other areas throughout the kinetic chain for weak links and alignment issues. Neuromuscular control is a term that signifies the body’s connection between the nervous system and muscles. This system is a two way street which relies on sensory input and motor output. Therefore, muscles, joints, skin, and our own awareness send signals to the nervous system, which then respond with a stimulus to maintain or adjust our position. When we think about stability, this reflexive scenario is essential. During each contact in the gait and running cycle, our nervous system is flooded with sensory information that it needs to assess and quickly respond to. The question is, does your body have the neuromuscular capacity to respond appropriately? Despite being strong, we must first possess the ability to connect with specific muscles. Ultimately, this connection needs to happen without us consciously thinking about it. But, creating the framework for unconscious control starts with isolation. As you complete these movements, focus on connecting with the body and not about sets and repetitions. Performing isometric holds can be valuable which includes lifting to the end-range and holding the movement for 30-60 seconds. This provides more time to assess and adjust each movement to fire the intended muscles. When it comes to running, the hip (and foot) is responsible for alignment of the leg. When the hip lacks stability and control, you’ll often notice that the femur moves into internal rotation. This can be seen with someone who falls into a “knock knee” position during gait and running. Isometric holds can provide a situation where the body has time to appreciate it’s position and adjust to create optimal stability. Oftentimes, runners complete functional movements that are throughout the full range of motion. This is important and necessary, but needs to come once a joint can function in static positions. Recently, I have implemented the loaded single leg stance, split squat isometric hold, and single leg balance with reach drills to provide more time under tension. These drills allow runners to connect with joint stabilizers so they can fire while maintaining a static position. The increased time of holding these positions often makes deficits in stability become more apparent. I highly recommend you try these movements as an assessment to determine your level of neuromuscular function. See what you feel and if it is truly the area that needs to be firing. Is one side different than the other? When the stabilizers aren’t functioning properly, we often find that other areas will compensate. The intended movement can actually look identical, but compensation may cause issues down the road. Creating “stability” with conscious thought is a common practice. Just because I tell you to hold a split squat and make sure your knee lines up with your second toe doesn’t mean you are more stable. It means you can consciously correct your position. Stability happens too fast for conscious thought. This is apparent in athletes who have good form and control in the gym, but quickly break down once they get into their training. Unless we create reflexive control in our stabilizers we are still at risk of dysfunctional movement patterns. How do we teach our body to do this unconsciously? Various self-limiting exercises I have used are in split stance or single leg stance while on a board or some type of balance beam. Why I love to use these structures is because once stability is lost the body loses the ability to remain on the board. Therefore, every loss of control magnifies itself. Creating an environment that rewards quality movement is key. This is the opposite of running and other forms of exercise which allow individuals to move for mile after mile despite poor form and mechanics. It’s important to know which positions create better stability. Yes, single leg stability is the end all be all, but we can use other positions to help bridge the gap to our end goal. I say this because oftentimes people find their balance is poor and continue to work on the hardest balance exercise out there with limited success. Let’s try taking a step back to some of these alternate positions that foster learning and appreciation before progressing ahead. Two positions that I have in mind are 1/2 kneeling and split stance. Essentially they are the same position, but one is on the ground while the other is elevated. The beauty is you can use them for different reasons, such as: core, upper body, and lower body. 1/2 kneeling and split stance reduces the equal contribution of the core and hip musculature on the pelvis. Instead, it requires the body to maintain a level pelvis while the legs are in opposite positions. This is essential for runners who complete this exact motion in a faster and more repetitive fashion. 5. Is a Joint Mobility/Flexibility Restriction Causing Your Stability Issue? When trying to improve lower extremity stability and control, it’s common to program stability and balance exercises, right? This would make perfect sense if there were no underlying mobility restrictions. But, if you are lacking optimal mobility or are really tight, what takes precedence? Several years ago, I was at the Perform Better Summit and heard an interesting concept regarding the impact of mobility on stability. It was said that when a joint lacks range of motion, it tends to reduce the stability output. Range of motion and joint mobility provide a proprioceptively-rich environment in which sensory input is sent to the nervous system. When a joint lacks movement, the feedback loop is disrupted as there isn’t as much sensory information sent to the nervous system in which to respond to. This lack of mobility can therefore disrupt the subsequent stability. Ever since I heard this concept taught this way, I always make sure to look at stability from a few different lenses. Essentially, do you have trouble stabilizing? Or, is your lack of range of motion creating poor stability? The lower extremity consists of a series of joints from the foot, ankle, knee, and hip. Since the ankle and knee primarily hinge with little rotation (besides just distally of the knee at the tibio-femoral joint), it’s important to look at the foot and hip in terms of alignment. These areas all contribute to alignment of the limb and one always affects the other. One area that need to be assessed is the medial longitudinal arch. The flexor hallucis brevis is an intrinsic foot muscle that spans across the arch and helps provide support to the foot. When lengthened or weak, this muscle fails to provide the control needed to support the arch, thus altering foot and lower extremity biomechanics. This also causes the knee to track medially and the hip will move into internal rotation. So, although it mimics a common hip dysfunction, it’s essential to assess other areas throughout the body. The lumbar spine and rib cage are also important to lower extremity alignment as they lay the foundation for pelvic position. All of the musculature surrounding the core attach to the lumbar spine, pelvis, and rib cage. When poor alignment and control of these areas are an issue, the lower extremity can often be viewed as dysfunctional. With how interconnected this region is, I find that the rib cage and lumbar spine can dictate the position for one another. Flared ribs is commonly seen with excessive lordosis and possibly an anterior pelvic tilt. And vice versa. Also, any scoliosis or restriction at the spine can cause altered pelvic positioning such as upshifts/downshifts and rotations. Anyway, I hope you enjoyed this recent edition of ‘Random Thoughts.’ Feel free to comment below or on Facebook with your questions or insights on the topic. Stability at the hip joint is an important characteristic for optimal alignment, lower limb mechanics, and performance. But, how do we train this to effectively see carryover in running, sport, and everyday life? One of the biggest problems I see are people strengthening the hips when trying to improve stability. Yes, strength does matter to proper function and mechanics of the hip joint. But, we can’t just strengthen a muscle or muscle group and expect it to improve it’s role within a movement pattern. That is why each of the following exercises do not strengthen in isolation but rather train alignment and joint control. With so many exercise choices available to target hip stability, my favorites are those that rely on maintaining a controlled joint position for an extended period of time. Yes, stability should be present throughout the full range of motion. But, giving the body time to anticipate and adjust to create an optimal environment is a beneficial starting point. The 1/2 kneeling chop and lift is an exercise that relies on a stabile base of support which is challenged with a moving upper body. The contrast between a stationary base and moving upper body really paves the way for creating a stabile environment. Have you ever incorporated any 1/2 kneeling positions within your training? Essentially it’s holding a lunge position with the back knee on the ground. The key to this exercise is to set-up in an aligned lower limb position and never falter throughout the thoracic rotation. The heavier the weight you move with the upper body, the more challenging it will become to maintain a solid 1/2 kneeling position. The split squat iso hold is one of my go to lower body strength and stability movements, or lack thereof. Most people dread this exercise since it becomes very challenging as you increase weight and hold for the desired amount of time. When you try this exercise for the first time, it’s important to place emphasis on the set-up. That means both legs aligned on either side. Then slightly lift the back knee off the ground, maintaining the front thigh no higher than parallel with the floor. One common issue I see is people have a hard time pushing through the discomfort and end up standing higher than recommended. Complete for 30-seconds for 2-4 weeks before dropping the time to 15-seconds with added resistance. Since the last two exercises focus primarily on hip stability in the split stance position, it’s important to teach stability on a single leg. I do find value in traditional balance exercises, but if we can incorporate some other movement that disrupts our positioning, stability is further enhanced. During the single leg static row, ensure you are standing on one leg while rowing with the opposite arm. The key is to maintain alignment on the stance leg without allowing the knee to collapse inward or lose balance. Throughout the hold, the greater the resistance used while rowing will further increase the challenge on hip stability and control. Not only is this exercise good from a stability standpoint, but it ties in the connection between opposite shoulder and hip. Since this cross pattern is essential in various forms of locomotion, such as crawling, skipping, and running, runners may benefit greatly with it’s carryover to the road. By far, one of the most valuable hip stability movements is the single leg deadlift. Although it may be the best, I often do not start people at this level because it requires a solid foundation of hip strength and stability first. That is why the exercises listed above, along with the hip hinge, should be prerequisites. From a function standpoint, being able to balance on one leg with good hip stability and control is important. But, can this be maintained while moving through hip flexion and extension? The Ironic thing is I find many runners who cannot complete this movement successfully, but still run mile after mile. In those situations I question if they possess the necessary amount of balance, stability, and control needed to run efficiently with good mechanics. I would assume not. Remember, creating better stability at the hip is important but does take time. It’s not incorporating the most difficult exercise that we need but consistently training those that just slightly exceed our ability level that creates lasting results. Only once optimal stability and control are demonstrated do we progress to the next level. If you spend the time to train these characteristics effectively, more efficient movement and joint mechanics are soon to follow.